A gift card drawing was held for New Albany Elementary students who had perfect attendance for the month of January. 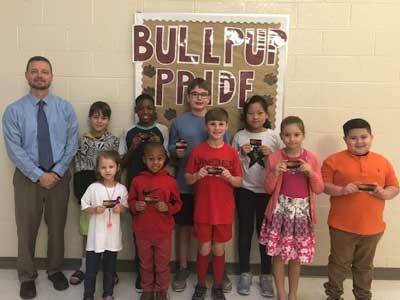 Pictured in no particular order with Principal Jamey Wright are students who were winners of the drawing: Dalton Mashburn, Carson Isom, Mary Hall, Mary Chism, Ky’Lee Berry, JohnTrayal Sinkfield, Zakiah Berry, Caysen McNutt, Landon Hall, and Leonel Mendoza. 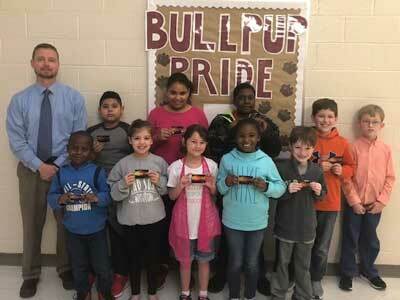 A gift card drawing was held for New Albany Elementary students who had perfect attendance for the month of February. Pictured in no particular order with Principal Jamey Wright, are students who were winners of the drawing: Dillian Grove, Madelyn Wimberly, Jaime Avila, Samantha Navarro, William Barber, Walker Robbins, Brayden Thompson, LaDarren Gilbert, and Angela Zhuang. Not pictured: Christopher Howell. 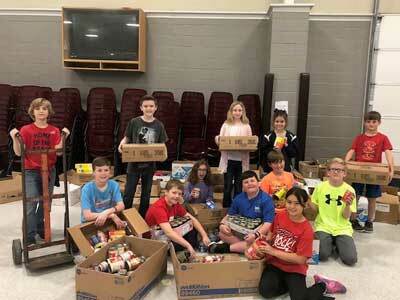 New Albany Elementary School sponsored a spring food drive. The following students helped collect and sort donated food items: John Walker Christ, Chandler Mathis, Mason Hill, Parker Hicks, Rosie Spencer, Eva Trout, Gregory Nelson, Jobe Reed, Sara Jane King, Stephenie Nolen, Jackson Meadows, and Casen Chism. Donated food items will be used in the NAES, NAMS, and NAHS Food Pantries and the Good Samaritan Center.